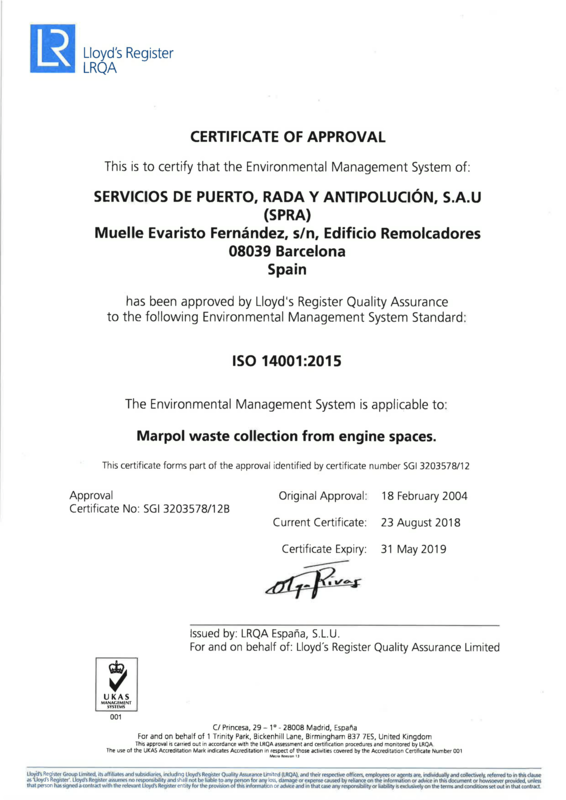 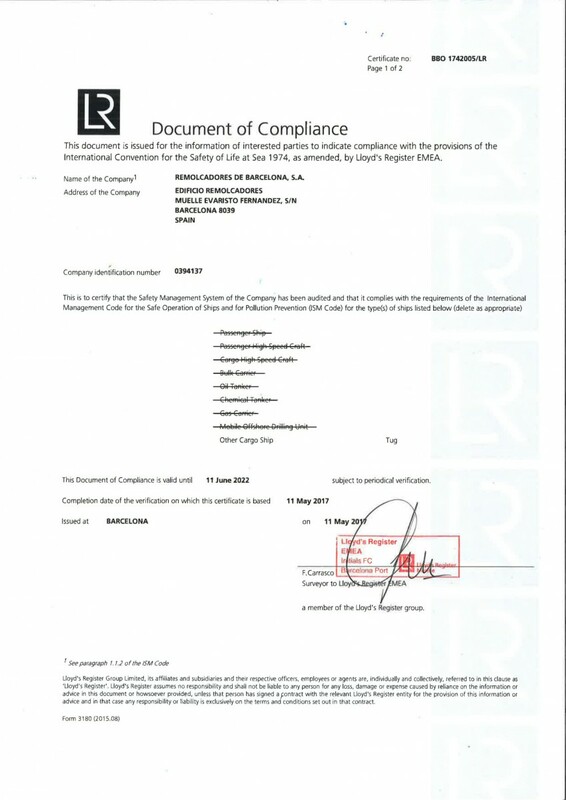 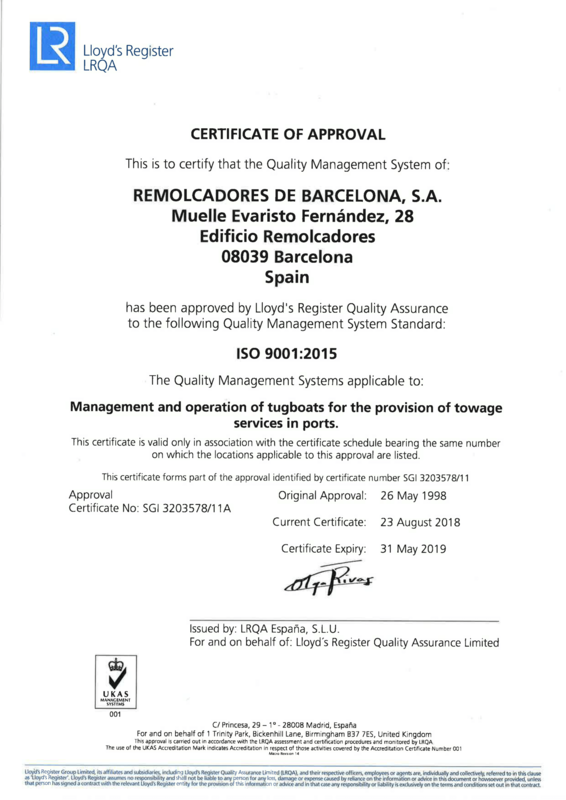 It is part of the Group Rebarsa policy to provide its clients a full quality service, both in its operations and in the areas of administration, commercial and customer assistance, keeping within its fleet the highest possible level of safety and environmental protection and complying to its largest extent with Spanish regulations and international codes requirements. 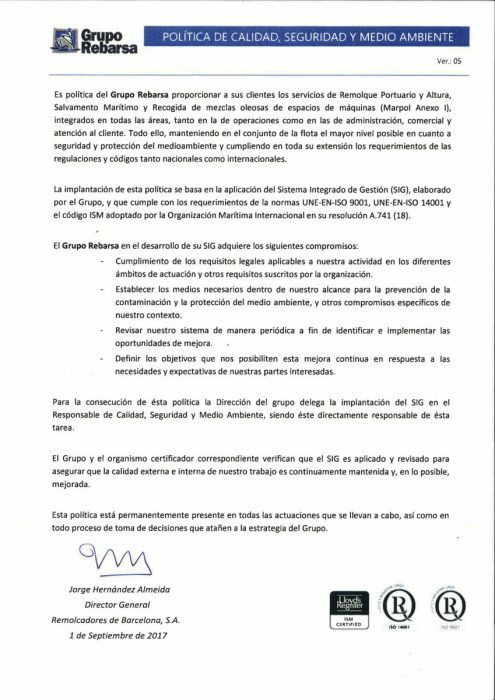 The implementation of this policy is based on the application of the quality and safety system prepared by the Group. 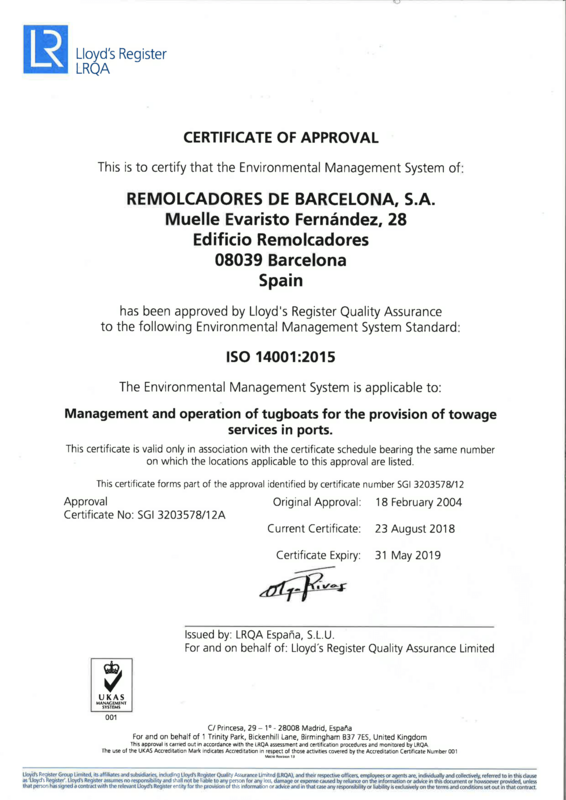 This system meets the requirements of the ISO 9001 standard, the ISM code adapted by the International Maritime Association in its resolution A.741 (18), as well as the ISO 14001 standard. 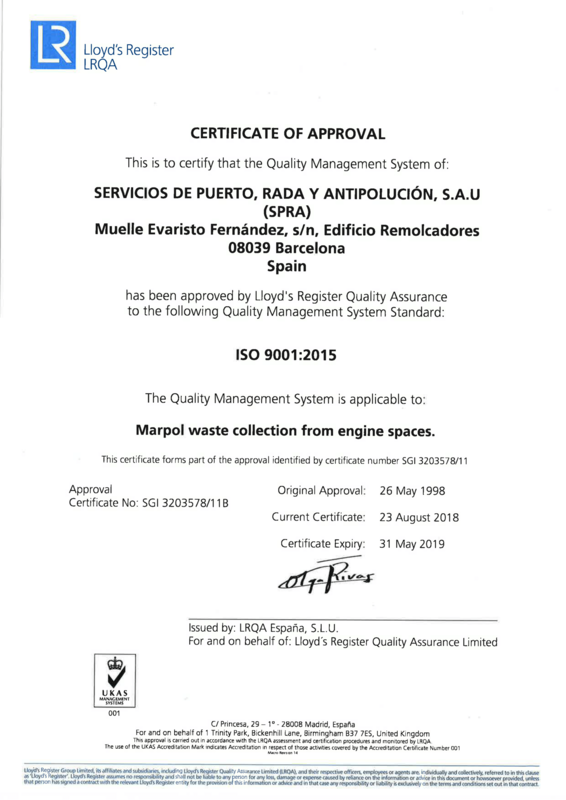 The Group and the corresponding certifying entity verify that the quality system is applied and reviewed in order to guarantee that the quality of our work, both in-house and externally, is continuously maintained and improved to as great an extent as possible.